A rather special event occured during our joint worship on July 15th in St. Modan's when Casey and Brody Ross were baptised. Around 20 family and friends had travelled north from as far as the Isle of Wight to be with the family. 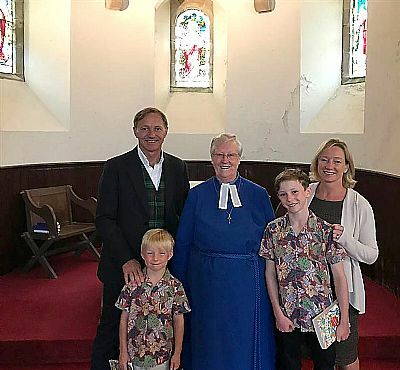 The Ross family are pictured here in front of the apse with Rev. Margaret Miller who officiated at the service.